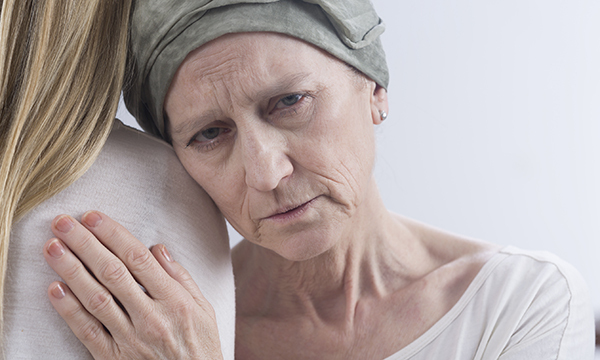 Worsening depression symptoms are associated with shorter survival rates for patients with lung cancer, especially those in the early stages of the disease, say researchers in the United States. They followed 1,790 patients who were newly diagnosed with lung cancer between 2003-2005. Each patient completed an 8-item depression assessment at diagnosis and again 12 months later. The researchers found that almost 40% (681) of those studied had depressive symptoms at diagnosis, and 14% (105) developed new onset symptoms during treatment. Compared to the 640 people who never developed depressive symptoms, those with new onset symptoms were 50% more likely to die. Another 254 people whose depression symptoms persisted throughout the study were 42% more likely to die. Overall, those who were depressed at the beginning of the study were 17% more likely to die during follow-up than those without depressive symptoms. Those who had depressive symptoms at diagnosis but did not have them a year later had a similar risk of death to those who were never depressed.